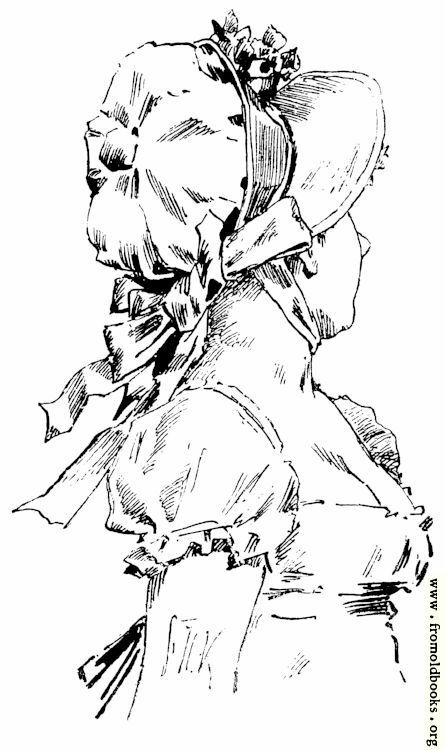 An engraving of a sketch of Fantine as a woman wearing a bonnet with a ribbon and looking away from us. The engraving is signed SHK, or maybe Sc. HV, which could indicate that Victor Hugo drew it himself, but I’m not sure.